Professional quality products for at-home treatment. At Clinical Aesthetics, we offer a range of scientifically proven skin care products to our clients as a complement to our services. We feature four different lines: SkinCeuticals, Nia24, Epionce, and DermWORX. Each of these lines have been vetted by Dr. Gallaher and her team to be safe, effective, and of the best quality. If we wouldn’t use it on ourselves, we don’t offer it to you. These powerful products can only be purchased from a licensed skincare professional. We are proud to offer these FDA-approved, scientifically proven products to our clients. We also use these products in our office. You get the same quality of treatment at home as you would from Dr. Gallaher and her team. You can prevent accelerated skin aging, reverse sun damage, eliminate precancerous spots, and encourage healthy, beautiful, young-looking skin. If you have any questions, please feel free to ask. Our team would be delighted to help you choose the right product to supplement your skin care regimen. 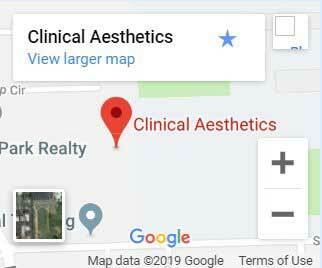 If you are in Villa Park or the surrounding Orange County communities, contact Clinical Aesthetics to make an appointment to learn more about our exciting range of skincare products available.